At the Three Rivers School District in suburban Cincinnati, 75% of students depend on the school bus each day for a ride to and from school. Now, with the help of Cincinnati’s Kiwanis Clubs, the District’s buses have been transformed to serve another function – a learning environment. The program is called “Books on the Bus”, which aims to increase reading skills among first through third grade elementary school students by stocking age-appropriate reading material in specially-designed pouches mounted under the bus seat. “When the Cincinnati Kiwanis Club approached us with an offer to pilot the program here, I immediately jumped on board”, said Craig Hockenberry, Superintendent of the Three Rivers School District. The Kiwanis Club of Cincinnati designed and donated the State-approved book pouches and are partnering with the Cleves-Three Rivers Kiwanis to ensure a full supply of books is maintained into the future. Three Rivers is in a pilot phase and have one year to test and gain State-wide authorization from the Ohio State Highway Patrol. In addition to reading the books while riding the bus, kids are allowed to take books home. Pat Bruns, Ohio State Board of Education member stated, “The Books on the Bus program will turn students’ bus ride into a learning opportunity for our young riders, and help us to achieve our State-wide goal of increasing reading proficiency for our elementary school kids”. 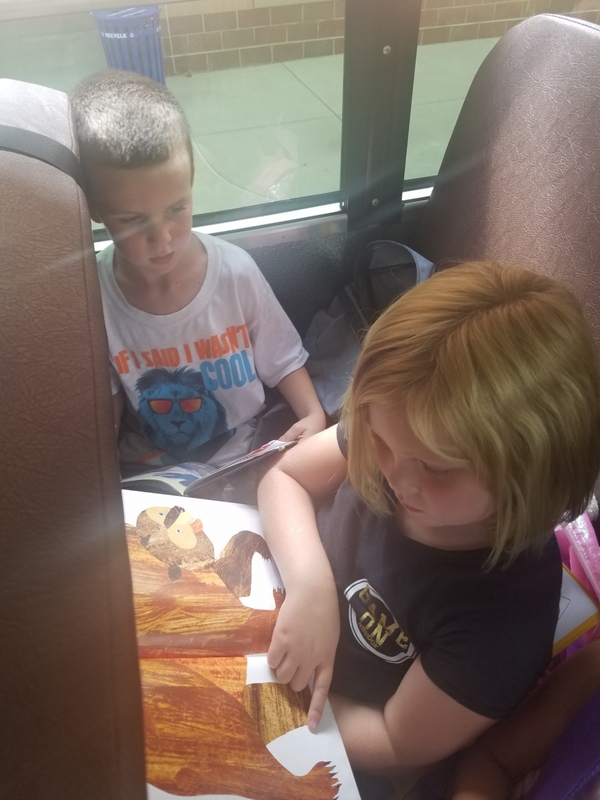 “Kiwanis’ Books on the Bus initiative is an excellent example of a service organization bringing an innovative idea that addresses a real need and we are thankful that it is with no cost to our District”, said Superintendent Hockenberry.